An upgrade to CRM 2011 requires, in addition to the CRM software upgrade, a platform upgrade. You should expect to be procuring new hardware to run the 64 bit Windows and SQL 2008 platforms. The upgrade process requires you to upgrade ‘through’ CRM 4.0. You don’t have to use CRM 4.0 but you will need to run the CRM 3.0 to CRM 4.0 upgrade and then upgrade to CRM 2011. You will need to install CRM 4.0 over your CRM 3.0 instance to upgrade it, that is the only upgrade approach available between those versions. If ‘losing’ your 3.0 environments is unacceptable then you will need additional environments. Your upgrade platform needs to support both 3.0 and 4.0. Windows 2003 SP2 and SQL 2005 SP3 is the level you need to be at. 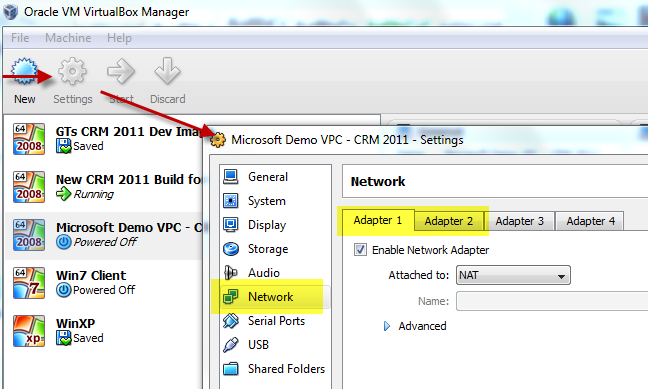 CRM 2011 will be installed fresh on the new hardware platform. 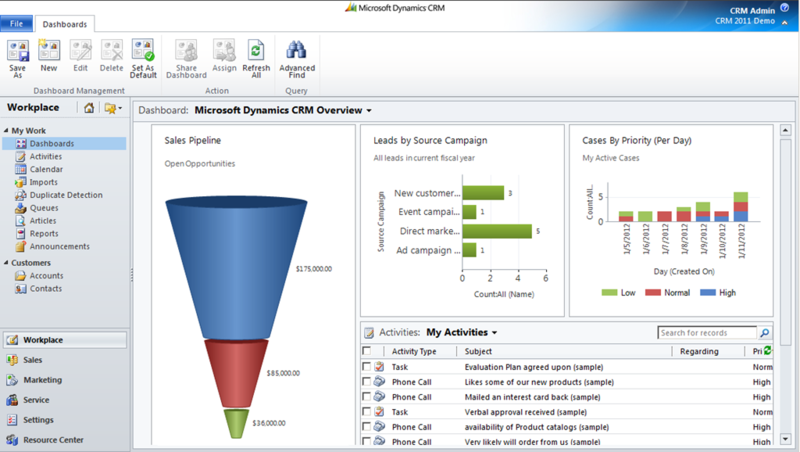 The CRM database, once upgrade to 4.0, can be imported into the CRM 2011 instance to upgrade it to 2011. Because of the ‘in-place upgrade’ approach required to upgrade from 3.0 to 4.0 it is worth considering whether you can image or snapshot the server prior to the upgrade so that the process is more easily repeatable. You must utilise at least 1 (preferably 2 or more) non-production environments to work through the upgrade process. You are upgrading both the data and the customisations to the system. The upgrade ‘wizard’ provided by Microsoft takes care of the data but the customisations require refactoring and a bunch of testing. Once you have completed the upgrade process a couple of times you should be confident with the process for upgrading the data. You can now focus on the customisations. Customisation changes back in the production 3.0 system must be put on strict hold for the duration of the project. You don’t want to be upgrading in parallel with on going production changes. And once you start doing an in-place upgrade in your dev and test environments you lose access to those environments for testing on going production changes. Customisations should be re-factored and re-tested in your dev/test/uat environments. 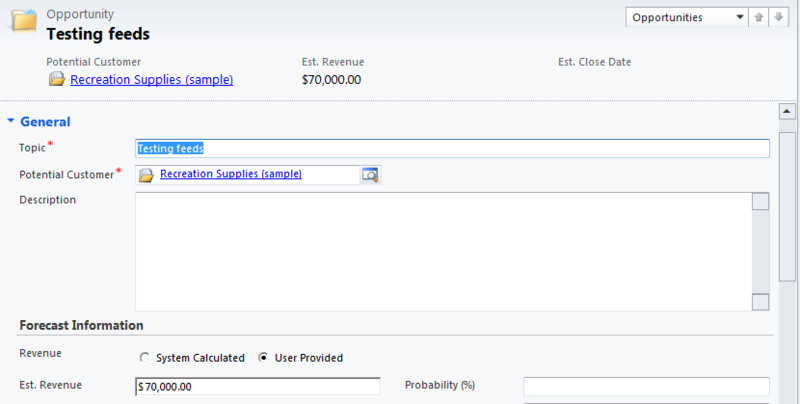 Take the upgraded 4.0 version of your production database and import it into the new CRM 2011 production platform. Note: I’m avoiding steps here regarding the Outlook Client and Email Router etc. as they are not relevant on my project. That’s my plan at this stage. I will come back and edit this blog as the project progresses. If you have any experiences to share please post comments. 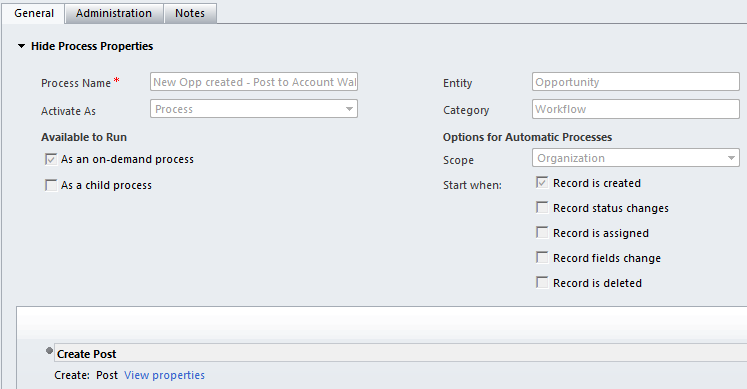 This entry was posted in Uncategorized and tagged 2011, crm, upgrade on January 11, 2012 by Gareth Tucker. Double-click the solution file (exportribbonxml.sln) to open this solution in Visual Studio. This entry was posted in Uncategorized and tagged 2011, crm, ribbon on December 14, 2011 by Gareth Tucker. My first impression of Activity Feeds was “why is my Wall full of events that I triggered – i.e. things that I already know about – what’s the point of that?” And the post content didn’t read very well either. Together this equated to lots of noise that deterred me from wanting to look at the wall. Damn, I was hoping this would be a nice feature! This is correct, Rambo is not following the Account. And this is GOOD Rambo does not need to be notified of something he has just done. 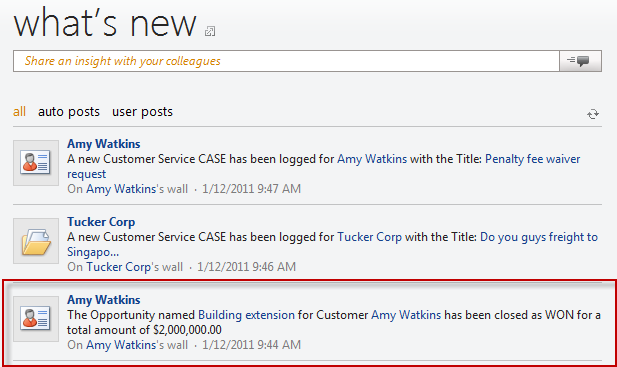 So that’s activity feeds, a potentially useful self service feature for subscribing to CRM event notifications. The one limitation I am still uncomfortable with though is the business benefit of Activity Feeds is reliant on end user’s choosing to view their wall. Some people prefer email. It’s a shame that when you follow you can’t chose to receive an email notification. I think there’s an ISV opportunity here to develop maybe an email digest solution so that each day users receive an email from CRM with a consolidated post list. Another nice solution would be to incorporate the Wall on a Dashboard to combine the news feed with rich data visualisations. Then I think you have a compelling home page for end users too land on when they launch CRM. 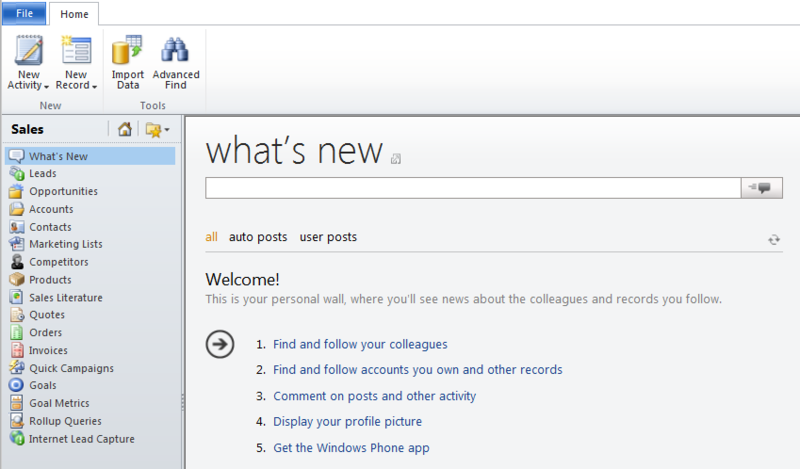 Update 1: check out this post to see how you can easily embed the Activity Feed wall on a Dashboard. Instead of inserting primary attribute fields like Opportunity.Topic insert the new special Post URL(Dynamic) fields now available since Rollup 5. These will give you the same text value but displayed as a hyperlink. 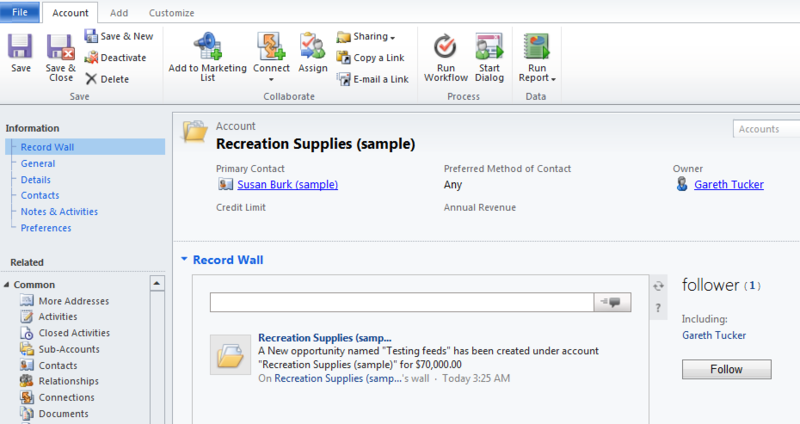 This entry was posted in Uncategorized and tagged 2011, Activity Feeds, crm on November 16, 2011 by Gareth Tucker. 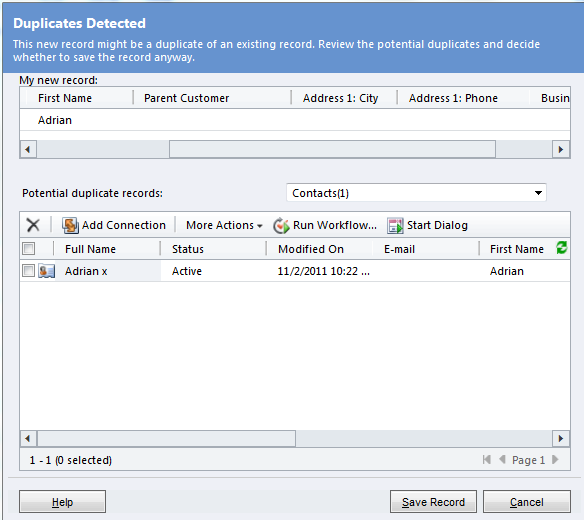 Microsoft CRM’s duplicate checking feature has always had a ‘quirk’ that bugged me. Good news though, rollup 5 introduces a solution. I’m not seeing this enhancement getting much mention so thought I would explain the enhancement and why you need to make use of it. If you’re making use of CRM’s duplicate detection features you will definitely want to revisit your rules and consider checking this option. Do remember as you test this that anytime you re-publish your rules CRM has to rebuild its match codes, so the change is not immediate. There is a system job you can see attached to the Duplicate rule, that might be the one to monitor. Now, if Microsoft would just tidy up the Duplicate Detection window and make that a bit more user friendly (or give us the ability to customise it) we would have a really nice solution. This entry was posted in Uncategorized and tagged 2011, crm, duplicate on November 2, 2011 by Gareth Tucker. I tend to live inside VirtualBox VM’s whenever I’m working on CRM presales or projects. For the most part I work inside a single box solution where I have 1 VM running as Domain Controller, SQL Server and CRM Server. I also tend to have the CRM Outlook Client installed, hooked up to a Hotmail account. My host machine has 8GB RAM and 4 cores, I allocate the VM 4.3GB and 2 cores. This generally works well. Every now again though I want to add a second VM to this environment, either to isolate a CRM Server component like the Asynchronous Service or to add a Windows client machine to the environment. 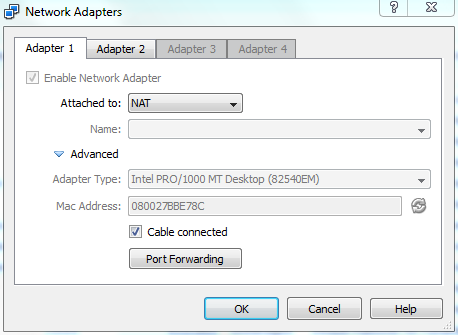 Now things get tricky as we have to start understanding VirtualBox networking. 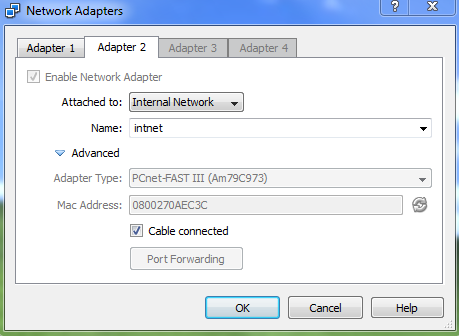 Well that doesn’t appeal to me, so instead here’s a cheat sheet you can follow to network your 2 VMs together and retain internet connectivity. Inside the VM we need to do a couple of things. 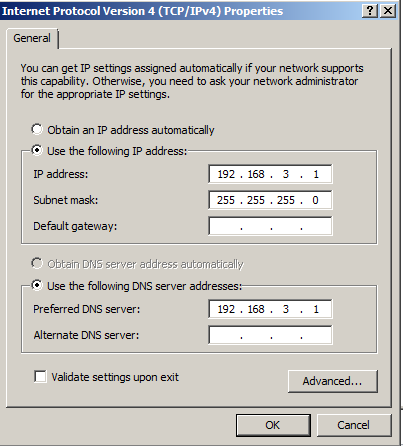 What we are doing here is assigning the CRM Server a fixed IP address and telling it to use the locally installed DNS server. Ok, good, we’re done with the CRM Server. Switch over to your second machine. In my case, my second machine is a Windows XP SP3 VM (assigned 1GB RAM and 1 core). 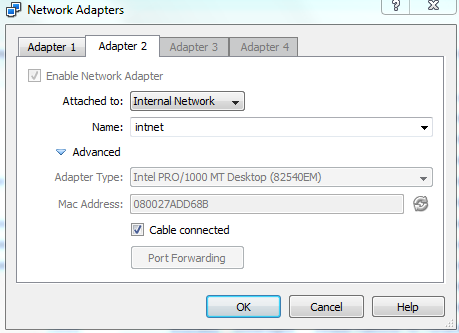 (here we are connecting this VM to our “intnet” internal network, where the CRM Server is also connected). What we are doing here is giving this machine a fixed IP address and then telling it to refer to the CRM Server for it’s default gateway and DNS server. And we’re done. 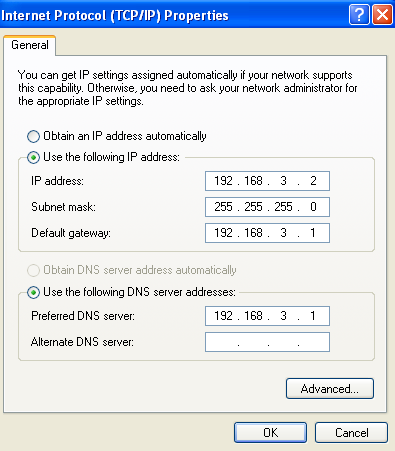 We should now have both VMs sitting on the same network and both enabled for internet access. There may well be other ways to do this and this might not be the best way. But it works for me! Hope this helps someone. 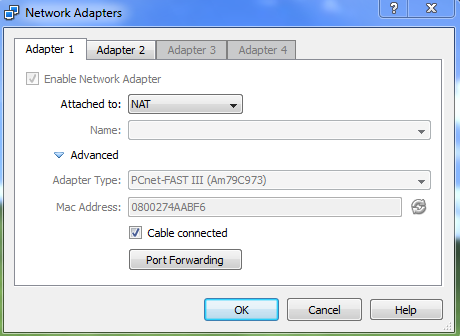 This entry was posted in Uncategorized and tagged 2011, crm, Network, VirtualBox on November 2, 2011 by Gareth Tucker. 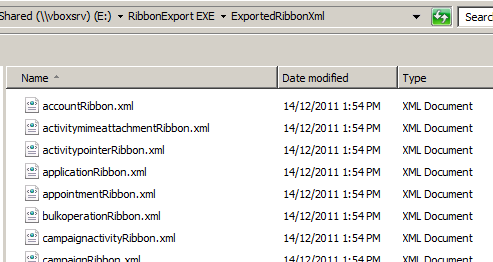 In this post I provide a quick guide on how to apply Display Rules to your custom ribbon buttons in Microsoft CRM 2011. Firstly, here’s a quick run through on how to apply a Display Rule. “I want to define a new display rule called "GT.campaign.Form.Star.FormStateNotCreate.DisplayRule". The rule is the button should only show if the form is not the Create form”. This entry was posted in Uncategorized and tagged 2011, crm, ribbon on September 13, 2011 by Gareth Tucker.